Dravida Munnetra Kazhagam (DMK) working president M.K. 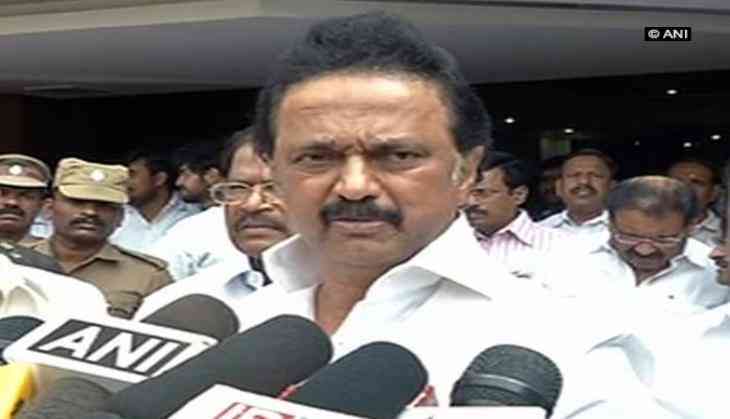 Stalin on 21 November announced Marudhu Ganesh as candidate for RK Nagar by-elections to be held on 21 December. The seat of RK Nagar is vacant following the death of former Tamil Nadu Chief Minister J Jayalalithaa in December 2016, who represented it for two terms. The election was earlier scheduled for 12 April, but was cancelled following allegations that sums of money were distributed in a vote-for-cash scam. The All India Anna Dravida Munnetra (AIADMK) who had earlier won the seat seven out of 11 times in the last 40 years will this time face their opposition in two factions. Counting of the vote will be held on 24 December.